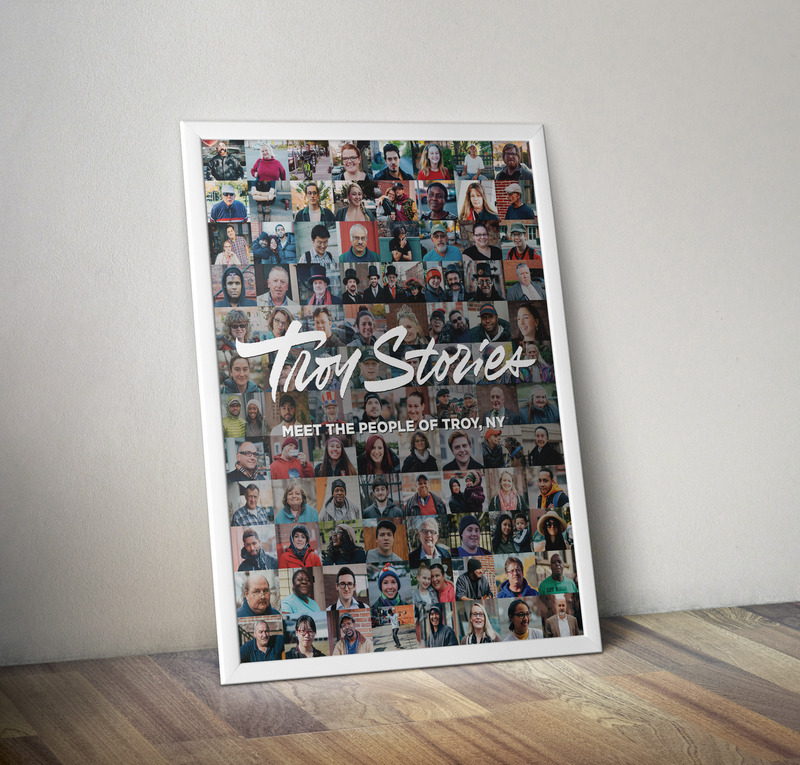 To celebrate publishing the 100th story, I created a beautiful 18″ x 24″ poster made up entirely of portraits that have appeared on Troy Stories. The posters are available for $20. Poster purchases will be available for pick up at the Troy Innovation Garage on 4th Street in Troy.